I recently got my hands on an HDBase-T device. 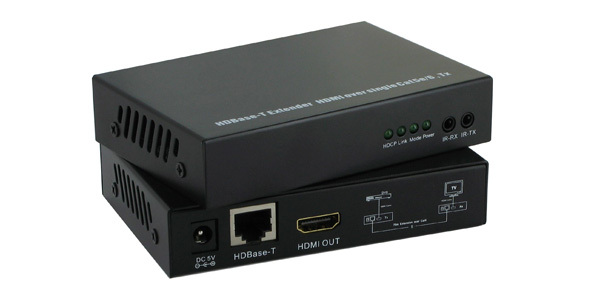 HDBaseT supported by the HDBaseT Alliance, is a consumer electronic (CE) connectivity technology for transmission of uncompressed high-definition video (HD), audio, power, home networking, and some control signals, over a common cable with a standard connector. In this instance it is a single device which passes an HDMI signal over cat5e (Network Cable) up to 100 meters or 320 feet. Generally devices such as these go for about $200 – $500. So you can imagine how sceptical I was when I saw this nGear branded one for $140 CDN. There were alternatives out there on Amazon for a lot cheaper, but they weren’t HDBase-T. Which means limited support, and it will not support 3D or DTS 7.1. What do you get in the package? You get an input and output terminator, you get two power adapters for the terminators, and you get two IR transmitters/receivers. The IR transmitter/receivers are able to pass your remotes signal over the cat5 cable to your connected device. Initially when I got this device I was worried about the connectivity, I could not get it to work. Then I decided to crimp a new cable. With the new cable in place I was able to watch a 3D movie in 5.1 surround from my PS3 in my bedroom on my home theatre in the living room. This is not what I intended the device for. I wanted this for my Gaming PC which sits in the bedroom. 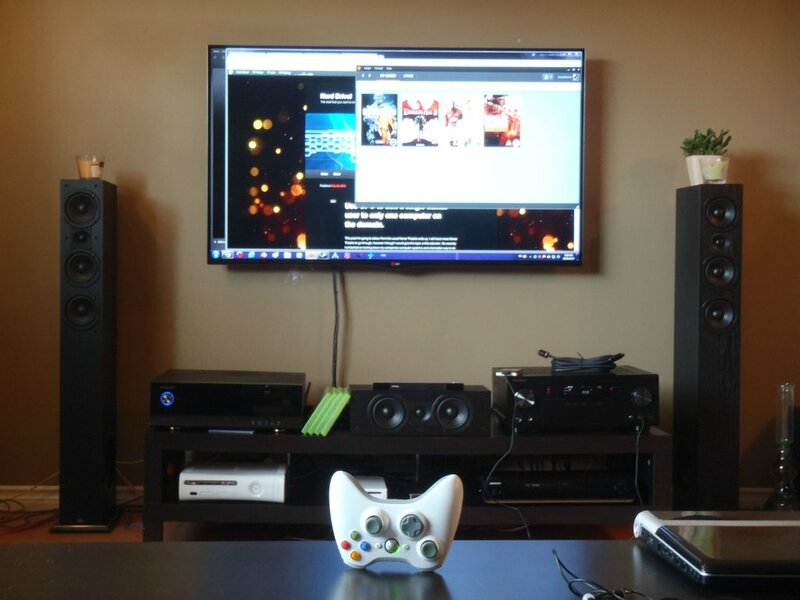 Now I play my PC games with a controller in the Living room. Additionally to the HDBase-T device I had to get a super long USB 2.0 cable which also runs from the gaming PC to the living room. I have connected a USB hub to this cable and a MS Wireless controller adapter so I can play games with my 360 controller. Sports and adventure games. 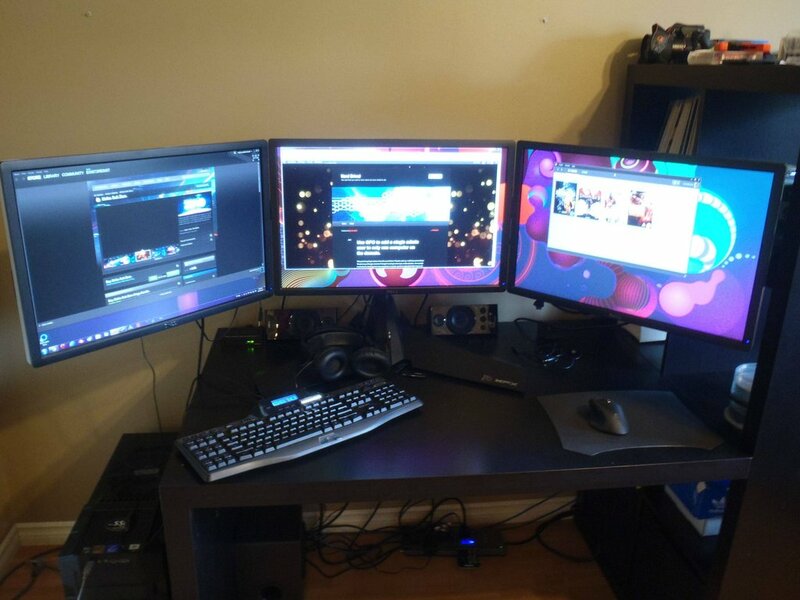 When it comes to first person shooters I play it at my desk on my 3 monitors, mouse, and keyboard. I have both options available. Switching between the 3 monitors and the Living room is easy, with AMDs Catalyst profiles I either press Ctrl+Alt+F4 (Desk) or Ctrl+Alt+F5 (Living Room). You can set this up yourself with any key combination you desire. Here’s a little visual guide someone put together. So that was part of the battle the next challenge came in when I was in the living room I could not start and close applications with my controller, I would have to go to the bedroom unplug the mouse and bring it into the living room. That kind of defeated the purpose of the entire convenience. This is where Xpadder came in. Xpadder alows me to setup my controller and map mouse movements and clicks to buttons and joysticks on the controller. I mapped the mouse to my right analog stick and left click to my right trigger. 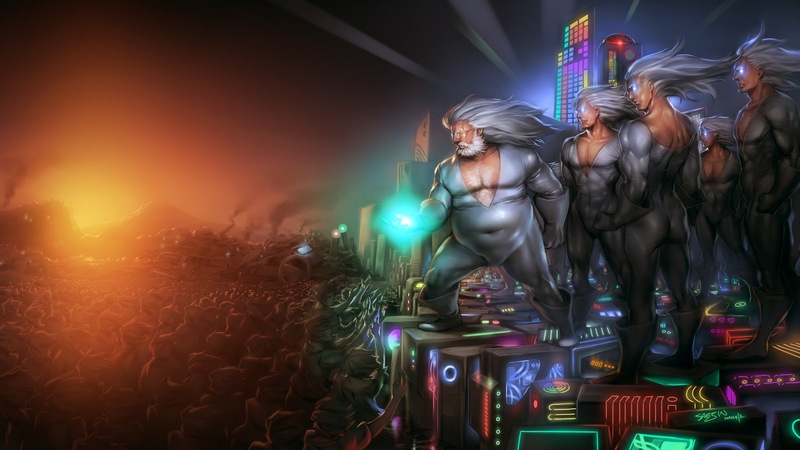 It was a safe bet that it would no interfere with any controls in games. If you play any games the right stick always translates to mouse movements and right trigger always translates to left mouse click on the PC. I was right it really doesn’t interfere much, having payed Tomb Raider and Fifa 12 on the big screen it works pretty well. Now you can download Xpadder from the official site with a donation, or you can find it for free on other sites. Up to you. At one point the GF saw me playing Tomb Raider on the bis screen, and she was amazed at how realistic the graphics were “movie like” was her comment. I chuckled, because it totally justified my purchase and it reminded me of this. As far as lag goes in gaming, there isn’t any that I have noticed. It works very well and I’m happy with it. My next purchase might be a blue-tooth wireless mechanical keyboard to put in the living room that can connect to 9 different devices. So there you have it HDBase-T by nGear is a very solid and reliable device. I played through Tomb Raider on it and it hasn’t given me any trouble. I supports up to HDMI 1.4 but without ARC support. I give it a 9 out of 10.